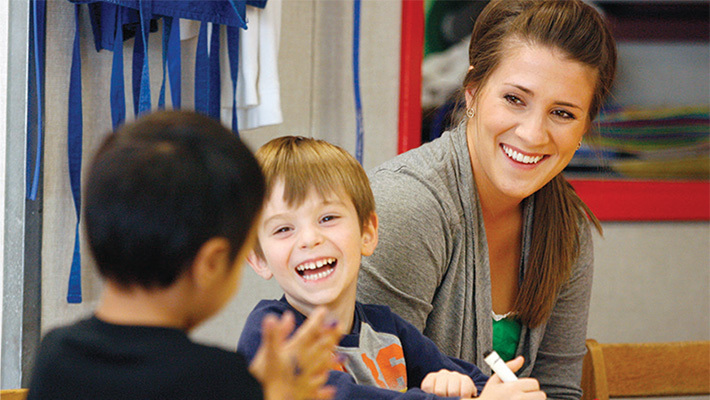 Discover what you can learn and where a child development major can take you. Child development is a diversified, multidisciplinary field. The main focus is on the changes in physical-motor, cognitive, language and social-emotional development of the child from birth to adolescence. Child development encompasses both the study of scientific principles of development and the application of these principles to children’s education and welfare. "True inspiration is experiencing a child’s enthusiasm after an accomplishment and realizing you helped make the difference."